Director of military shops in Milan and then in Rome, Antoine Charles BARON makes fortune and settles in Paris under the empire, where he becomes an assistant director of Mont de Piété, the main bank at the time. When occupying this function, he helps many emigrated notables enabling them to save their fortune. They therefore recommend him to Louis XVIII. The king makes him director and then Baron, which explains his name: baron BARON de CLAVIER. 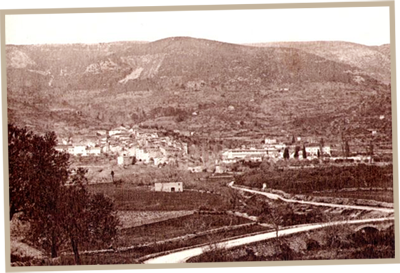 On May 15, 1822, he becomes the owner of a plot of land in Seillans, in order to set up a cotton factory. The first stone was set a month later. After the stock exchange crash in 1825, textile industry and business have serious problems. However, Seillans resists. The textile mill produces pieces of striped cotton, table linen, and several pieces of fabric. But in 1831, the factory is under compulsory liquidation and shuts its doors in 1832. From 1838 to 1845, many rescue attempts fail. 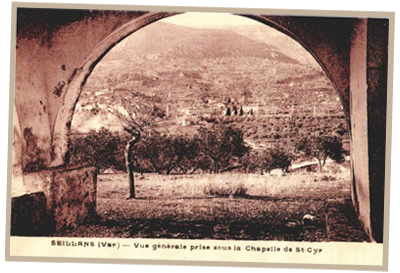 In 1874, Mr. DENOVE, merchant in Fréjus, buys the building. The new owner chooses a revenue-promising activity: silk worm farming and harvest. He founds "la magnanerie de Seillans". In 1878, he makes over the building to Charles'son and previous mayor of Seillans, Henri BARON. Workers collect then mulberry tree leaves to farm silk worms. Mulberry trees occupy 10 hectares, and more than a thousand trees are to be produced. "La magnanerie" employs 100 people. The textile industry is interested by the silk produced by the silk-worm moth. As a matter of interest, it is said that male workers cannot go inside some sensitive rooms of "la magnanerie". They can collect leaves but only women are allowed to bring them to silk-worm moths, unless they are pregnant. In 1884, "la magnanerie de Seillans" wins the golden medal of the international exhibition in Nice. Unfortunately, illness, repeated economic crises and other problems will take over this activity. Moreover, the equipment which became obsolete won't resist against the massive progress of the industry that will boom in the beginning of the 20th century. In 1930, despite the council's efforts, "la magnanerie" will definitely shut its doors. The building will later be used as a perfumery. Indeed we are not far from Grasse, famous for its perfumes. Today, Pierre DUFRASNE's initiative makes people from Seillans happy again. The site nature is not only respected but also amplified. This new opening brings a new impulse to this nature-, history- and heritage-rich region.